AEGEE-Warszawa and the European Citizenship Working Group have great things in store for this spring. With Citizenship at its Grassroots-European and Polish Perspectives, they want to explore the current situation of democracy and the rule of law in Europe and Poland during a three-days event in March. 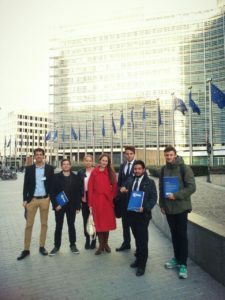 We reached out to Patrycja Figarska, from AEGEE-Warszawa, and Álvaro González Pérez and Jasmin Kaiser from the European Citizenship Working Group to ask them about this upcoming event! The AEGEEan: Congratulations on your event. How did you come up with the idea to organise it? 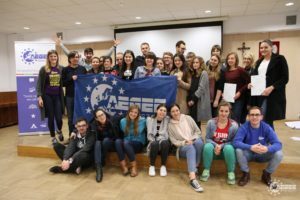 Patrycja: Back in September in Catania, the ECWG and AEGEE-Warszawa shared a similar idea of organising together a conference that will bring Europe closer to its citizens and tackle topics that are current and important for youth. The state of democracy, rule of law, and the approach to European values is something that is being challenged and questioned recently in Poland and other countries. Therefore, we have decided to raise awareness on these issues and invite you to take part in the discussion about the state of democracy and rule of law. What is the current situation in Poland and why do you think holding this event there is important? Patrycja: More than 25 years after the fall of communism, once an example for others after its successful fight for freedom and democracy, Poland is now a cause of international worry. Over a period of two years new laws and regulations regarding the justice system have been adopted, and this lead to crowds of demonstrators taking the streets of Poland to protest against the reform, the European Commission triggering Article 7 against Poland, the Polish government not accepting the EU concerns regarding the rule of law, thus rising tensions between Poland and the EU. Developments in Poland show that the democratisation process never finishes and it is important to understand its development and take an action when necessary. Considering the past and present situation of democracy in Poland we believe Warsaw is a perfect place to discuss its state in Europe. In your opinion, what should be the role of the rule of law in Europe and how can we AEGEEans contribute to it? Álvaro: The rule of law should be the same everywhere, be it Europe, Japan, Brasil, or Libya: the principle by which every individual or entity is accountable to a certain and popularly accepted set of rules in a fair and equal way. As AEGEEans we all agree (or we hope we do) that this is a fundamental principle that should be respected everywhere. Now, the way in which we can contribute to it is essentially tricky: we can and should lobby for it as much as our tools and means allow us, for example by organising a conference on the topic. However, when it comes to specific examples of deficit of rule of law, especially in countries where AEGEE is present, unfortunately we cannot be so open, simply because there’s a risk on it that involves AEGEE as a whole, and particularly the AEGEEans from that country. Jasmin: As the rule of law cannot be taken for granted in any European country, it is each citizen’s duty to fight for it – constantly. Young people, especially AEGEEans, should act as role models and actively make use of democratic tools such as public discussions or direct contact with political representatives. It’s easy to ignore us, if the youth does not raise its voices. Can you give us some sneak peeks of the programme? Jasmin: The programme is going to be as diverse as the event description promises by bringing European and Polish perspectives together. There are various different session formats, ranging from informative input lessons to panel discussion and interactive workshops. In times of fake news we will profit from the expertise of high level speakers who will try to set an equal basis of knowledge for each and everyone. Coming from different backgrounds, such as European and Polish academia, politics or civil society, guest speakers will represent contrasting positions and open the discussion with participants in a fruitful and balanced atmosphere. In general, the programme is tailored to active Polish and non-Polish participants who want to be heard. Ideally the opinions and outcomes of the conference will be published on national and European media and used to confront decision makers. Friday to Sunday will grant a tight schedule which requires an attentive brain, thus participants are invited to take the opportunity to discover the city and relax with AEGEE-Warszawa on Thursday. 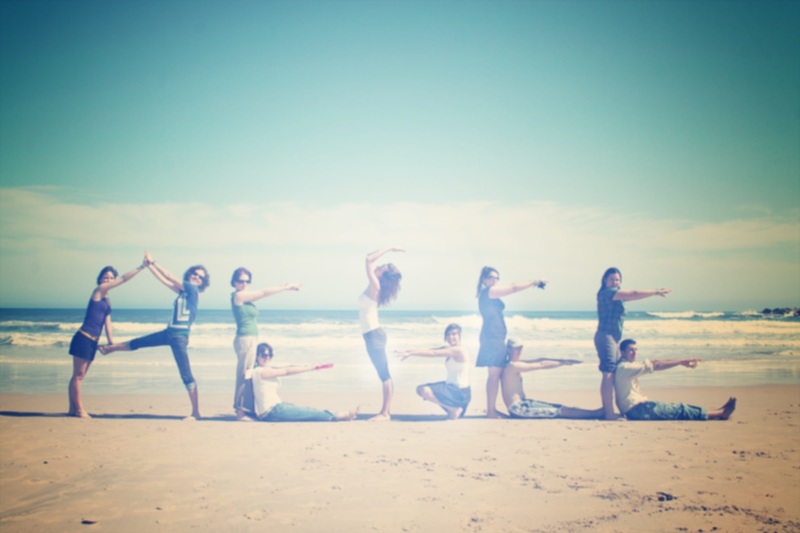 Who would be the ideal participant and how can they apply? Álvaro: The first aspect we had in mind when thinking of the participants was the mixture of both international and Polish participants, mainly because of the fundamentally different perspectives that one has depending on one living in or out of Poland. The second aspect we all agreed on was the fact that we want both AEGEEans and non-AEGEEans to be present at the conference in order to avoid the constraints that limiting ourselves to the views of exclusively AEGEE members brings along with it. Since the conference is open to all young Europeans who do not necessarily have to be AEGEE members we encourage you to share this open call with all of your friends! As a whole, we obviously want participants that are interested in the topics of democracy and rule of law. This does not mean that there’s an expertise requirement. The same way our speakers will come from different backgrounds and fields of expertise, we expect our participants to be as heterogeneous as one could imagine. In order to apply, you have to fill it this formulary. If AEGEEan, also the intranet form. And of course, clicking attend to the Facebook event! Tell us three reasons to visit Warsaw and attend your event. Patrycja: I. Multiple Perspectives – speakers coming from different backgrounds, local and international participants bringing diverse experiences from their home countries will create a mixture of high quality thematic content that will enrich your knowledge on the topic. II. 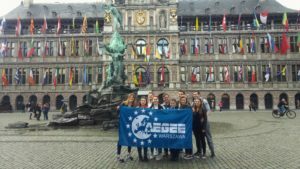 State of Democracy – a core value of AEGEE. Therefore, in the times when its principles are under threat we should make an effort to critically assess the situation and take and active role in shaping the presence and influencing the future we want to live in. III. Warsaw – a city you will fall in love with while experiencing its rich history and different faces. Also called a “phoenix city” as it has been rebuilt from ruins after World War II. It is a place full of contrasts – a mixture of the old and the new, of historical monuments and modern architecture, of traditional and alternative places. Decide on your own reasons to take part in “Citizenship at its Grassroots” conference and join us in March in Warsaw! ← Gunnar Erth: AEGEE Needs Ideas, Inspiration and Skills to Put Ideas into Practice!